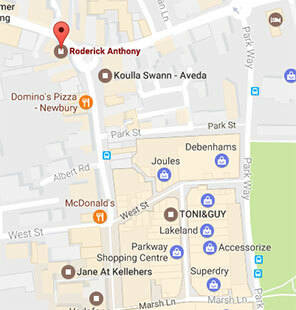 We are conveniently situated at the top of the town between the Clock Tower in London Road and the Robin Hood roundabout also just a few minutes from Waitrose. Click here to find us on Google and get Directions. Let our team of stylists make you look and feel amazing. Copyright © 2019 Roderick Anthony, All Rights Reserved.